This unit produces 60 cfm at 100 psi. The dent and temperature resistant molded polymer shell is perfectly suited for a variety of heavy duty uses, while their light weight, wheel-mounted package and hinged handle bar offer easy maneuverability. Vibration isolator pads absorb shock from the engine and airend, ensuring quiet operation. Other convenient features an electric starter and an air-cooled oil cooler with cooling air circulation fan for consistent, reliable performance. 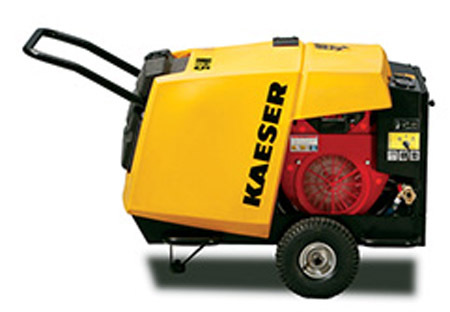 Units are ideally suited for: rental houses, landscaping, sand blasting, repair trucks, and off-site applications.